Summary: Employee recruitment, especially the high-talent recruitment is always difficult for every company’s HR. One of the major factors induced is your recruitment ads display. It’s vital to make an eye-catching job employment ad, here tell you how. 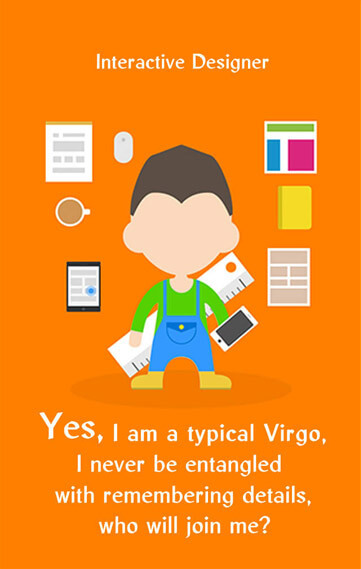 It can be a tedious job for hiring, especially for those people of high talent, most HR head will tell you that. It’s hard to find the right candidate for each job position. The reasons are many, but one major is your recruitment ads design. If you do not have a wonderful job recruitment advertisement or announcement, your company will not stand out among so many enterprises unless it’s a big famous one. Today, the recruitment ads design is one very important factor to the success of high talent recruitment, for which people can feel your enterprise’s culture. That’s also the first impression you will leave to your coming employee. Then how to make an eye-catching job recruitment ad or announcement? It cannot be denied that nowadays, making the employment process more successful, many sites provide their tools to help create vivid and attracting recruitment ads. And online recruitment has gradually been the prior choice in most circumstances. Yeah, among so many sites that offer good tools to make recruitment ads, AmoLink is one creative tool in 2016 to design your job recruitment ads. Easy to use but powerful, this tool can let your recruitment ads dynamic with editable images and text. With it, you can even have a prior online interaction with your interviewee. AmoLink offers rich features and thoughtful services. You can choose any plan you like and use the basic functions for free. Below I will explain in detail why you can choose AmoLink and what AmoLink can bring to you. Isn't that a great reason? The recruitment ads made by AmoLink is cheap and cost you lesser than a print ad. Yes that's true! With many exquisite layouts, effects and backgrounds, etc. 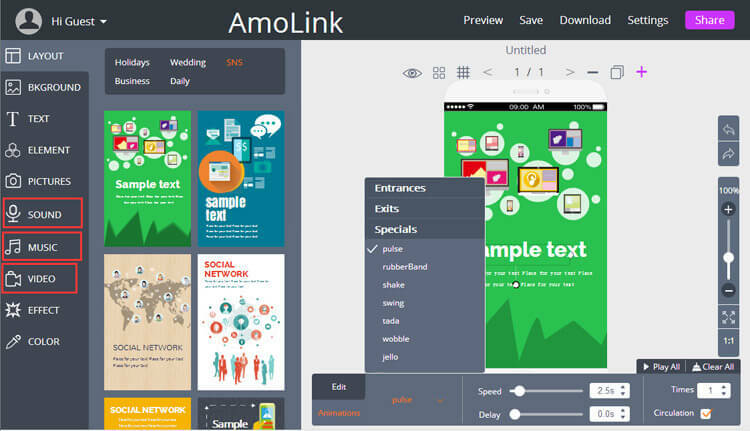 in AmoLink, you will no need to consider the designer because you yourself can be the best one. Just type the copywriting you want into AmoLink layout, you can get your satisfying effect! AmoLink does not only save you money in creating recruitment, but also open the door to a wider range of candidates. The online job advertisement made by AmoLink will make you visible to millions of candidates from all over the country on social media sites. You can even choose the best talent available from the whole country for a particular position. 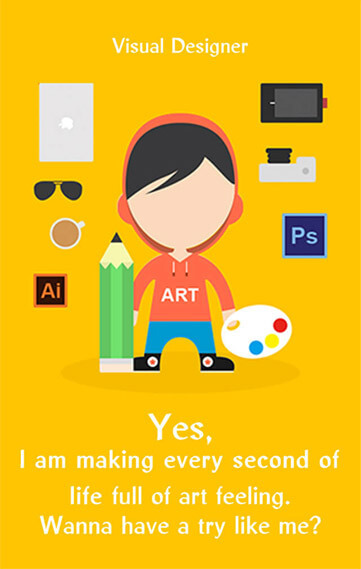 One big advantage of AmoLink tool is the speed. With AmoLink tool, you can create dynamic job recruitment ads with sound and video together quickly. You will be surprised at this powerful feature. Just have a try here. Another great advantage about AmoLink recruitment ads is the highly-interaction feature. It’s easy, fast and direct. You can interact with your candidates online before calling him for an interview through AmoLink recruitment ads. It’s really fantastic! 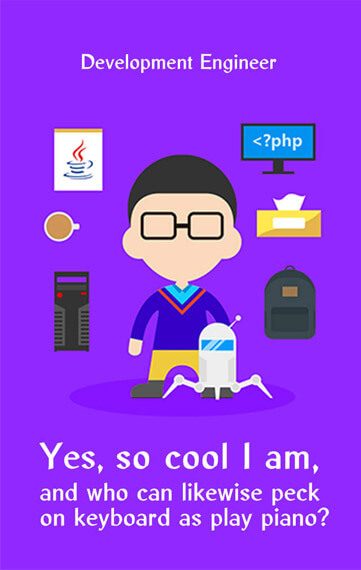 So, are you still looking for creative GEEK? Those people who are the rare species of high skilled warlords, reining the lands of photography, designs, and even the films, etc.? Just use AmoLink tool to spice up your recruitment ads, you will be no more hunger for talented souls soon!